There are breakfast tacos all over the city; Torchy’s is my favorite. 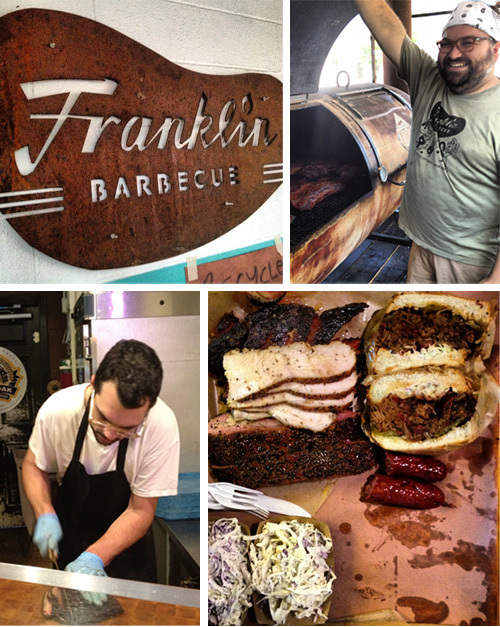 Austin has long been known for its food scene and it’s exploded with the food truck revolution and lots of good barbecue within Austin proper. 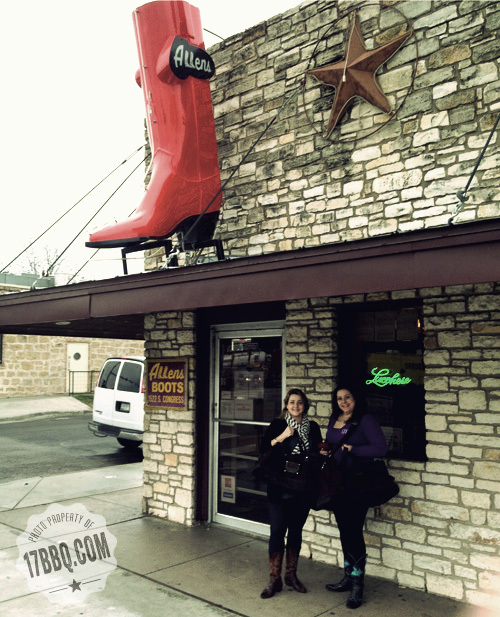 I hadn’t been to Austin for almost three years, so there were lots of new places on the agenda. After a swing through Torchy’s for the best breakfast tacos, we took our place in line to experience the Franklin phenomena. Lesson: if you’re bringing food to eat in line, people will look longingly at you. Bring an extra to share. The people behind us were grateful! Whether you’re at Shake Shack, Pappy’s Smokehouse in St. Louis, or Franklin’s, the cult of the line remains the same. A nice touch at Franklin’s was Daniel, the wildly personable server, who roamed the line with a tin bucket of beer and soda for sale. Ali Clem of La Barbecue ferrying wood for the pit; a photo of Bobby Mueller looms large. 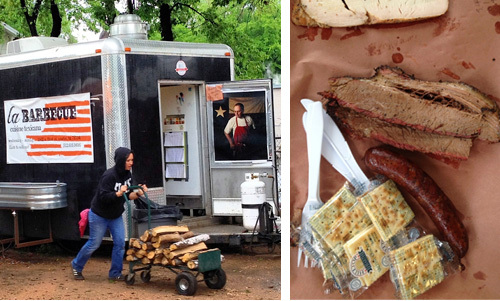 Next up was La Barbecue, owned by LeAnn Mueller, daughter of the late, legendary Bobby Mueller and sister of Wayne Mueller who’s now at the helm of the famed Louie Mueller Barbecue in Taylor. Solid barbecue; especially good brisket. That beef rib was the best thing I ate that day. 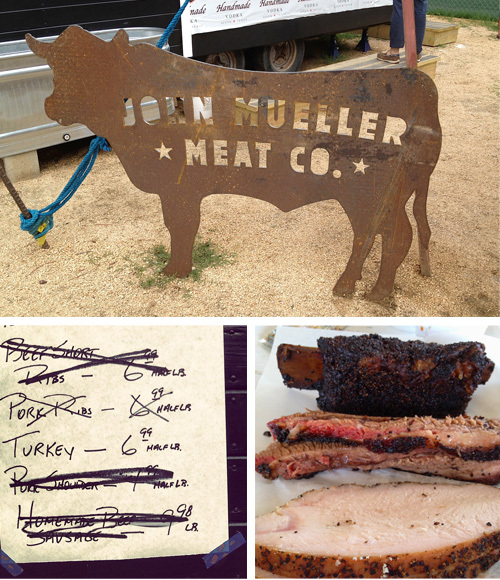 Then onto John Mueller Meat Company. John, also progeny of Bobby Mueller, opened his own joint just a few months ago amid much controversy. Whatever his personal demons, the man can cook. An aside: From personal family drama to poaching pitmasters and less-than-loyal employees to frenemies of all shades, the barbecue world is rife with its own share of drama and intrigue and I won’t go into all of that here. 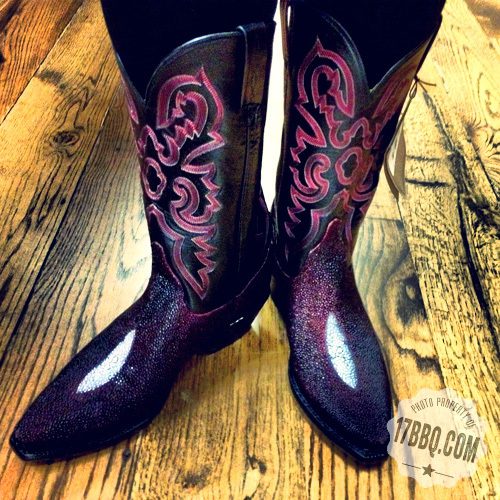 Just please try to not believe everything you read on the internet. Every story has many layers and much remains private; known only to family and friends. My personal experience has shown that those talking the loudest usually know the least. Pacing is key on a culinary mission. 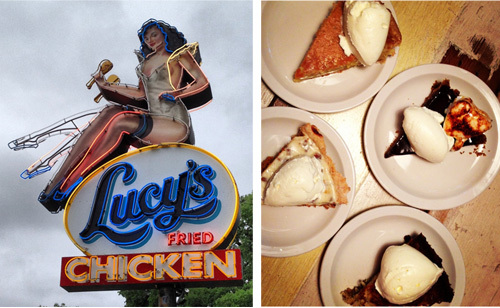 We ended the day with a pie tasting at Lucy’s. The fried chicken looked delicious, but we were on a quest for sweet tea chess pie … which led to trying four of the five pies on the menu. I can highly recommend all of these pies: the sweet tea chess pie — delicate flavor; rich custard; Mexican hot chocolate with a bite of espresso in the graham cracker crust; creamy sweet potato pie topped with a surprising white chocolate ganache might have been my favorite. I’m a crust connoisseur and this pie crust was some of the best I’ve had in a restaurant. Special thanks to Four Seasons Austin — one of my favorite places to stay in Austin. Central location, comfortable rooms, and that famous Four Seasons hospitality. The best part is the lounge and restaurant. Every evening included late-night cocktails and catching up with local friends. The comfortable lounge with great food from its award-winning restaurant and outstanding cocktails is the perfect place for visiting and winding down. Highly recommend. Read about the main reason for my visit here.